We have become victims of the holidays. Too strong a word? I think not. 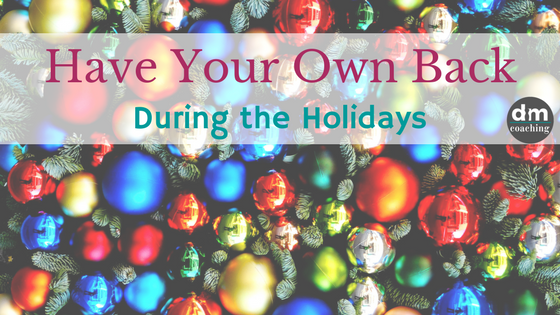 It is time to stand up and take good care of ourselves during this season between Thanksgiving and New Year’s Day that we call the ‘holidays.’ You don’t have to even celebrate the holiday of Christmas to be affected. Who thought it was ok to display Christmas merchandise in mid-October? And don’t get me started with all the celebration around the day everything goes “pumpkin” in the fall. I’m all for a flavored latte, but some of those pumpkin things are not even real food. I could give dozens of other examples of just how outrageous our society has become in the name of holiday celebrating. Seriously—for our wellbeing and the wellbeing of our loved ones—this craziness has got to stop. Oh my……end of rant…..I’m a little worked up about this…..can you tell? However, I realize that none of us are going to change the momentum that occurs each year in our culture and retail space. But we certainly don’t have to wave a white flag and surrender to it in a way that is harmful to our health. And I’m NOT just talking about the food. 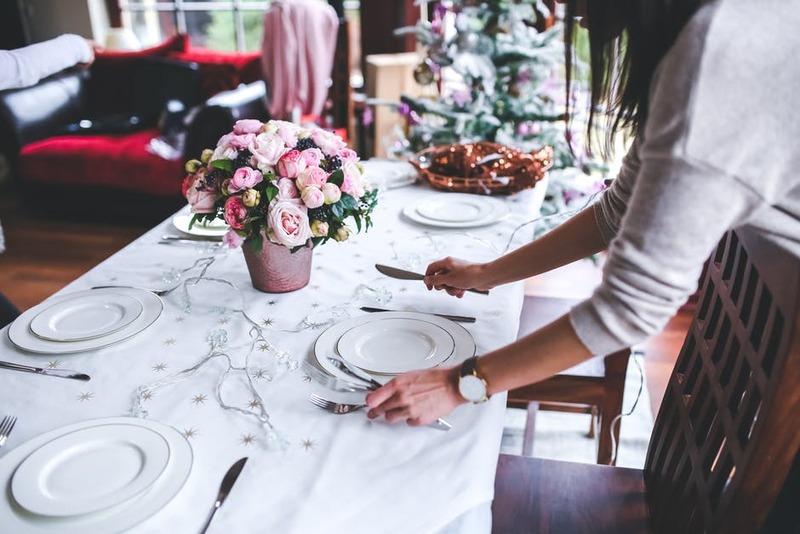 I think the most dangerous part is that many of us (I’m raising both hands here) have spent so many years laying aside what was really good for us (rest, quiet time with family, energizing food and activities, aligning with OUR values around gifting, and on and on) by jumping on the “it’s the holidays” bandwagon. But how do we get off the Christmas train and learn to put OUR needs first? We can start now by taking our power back during the holidays. As with anything, it’s about getting curious and dropping the judgment around how we handle the holidays. None of us has done anything wrong by overeating, under-resting, or skipping exercise during previous holiday seasons. But if you want a different outcome this year, shifting your mind around it will create better results. And the power tool of shifting? Choose different thoughts and Ask better questions. During this time of the year, many of us tend to fall into victim mentality. When that happens, we feel terrible and have a need to create a villain. The holidays, the parties, our families, the never-ending to-do list—these all become villains. A holiday that is meant to embrace a giving spirit, a feeling of peace, and a source of joy actually becomes quite miserable. I don’t know about you, but I hate looking back on my Christmas season with my family and thinking it was terrible or I just survived it. I want more from it; don’t you? START HERE: Look at a different perspective and better yet ask your brain to answer a better question and you’ll get much better ideas that can work for you! Instead say: The true holidays are only 4 or 5 days. I’m not giving up what’s working for me around food, exercise, and rest. I’ll feel so much better if I stick to my current routine. And Ask: What are small things I can do every day to eat, move and sleep healthily? Instead say: I can have this special item any time I want; I don’t have to wait until the holidays. Perhaps I should postpone this treat to another time when I can fully savor it. Ask Yourself: What amazing foods do I really want to cook, savor or plan for? Instead say: I can’t NOT work out during this season—it helps my mental health. Ask Yourself: When CAN I sneak a workout in? Instead say: There are so many invitations, and so many that I want to attend, I’ll make a plan that works for me and my family. What events are important for me to attend? What events can be skipped? What are some ways I can spend quieter/special time with my family and friends? Click here to listen to my coach call, Stress Free and Lean During the Holidays. In the spirit of health and happiness and living your best life ever, wishing you the best holidays ever.